Can I make money with the laser? How long does it take to learn to use the laser? 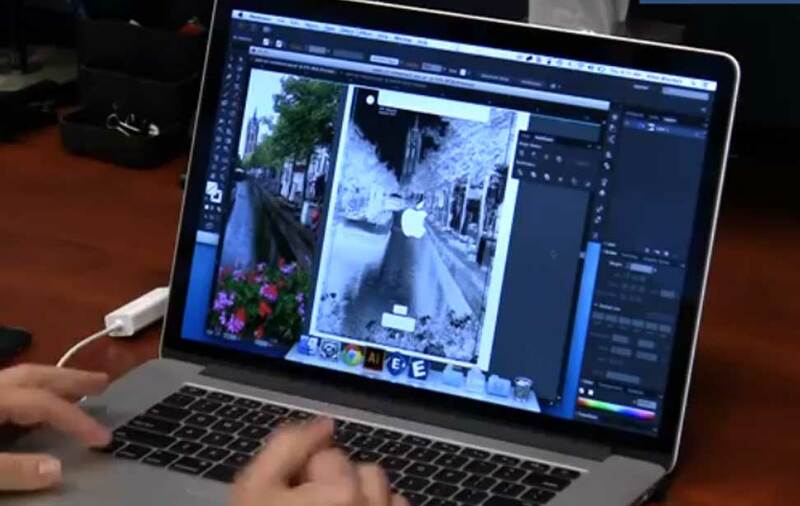 If you know how to use graphic design software, you can be up and running in minutes! 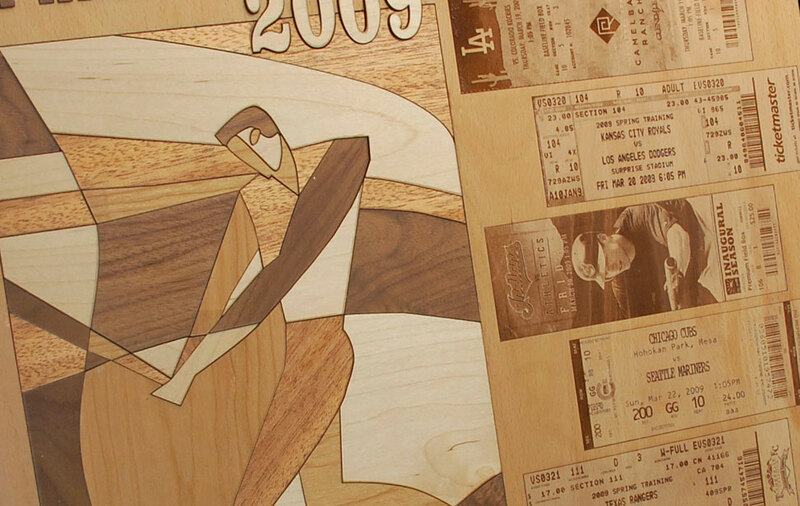 There is no proprietary software to learn so you can use the programs that you are already familiar with to make the transition into laser engraving as smooth as possible. It will take a bit of trial and error to learn what speed and power settings to use with different materials, but we include a comprehensive guide with your system that has recommended speed and power settings for various materials with which you will be working. 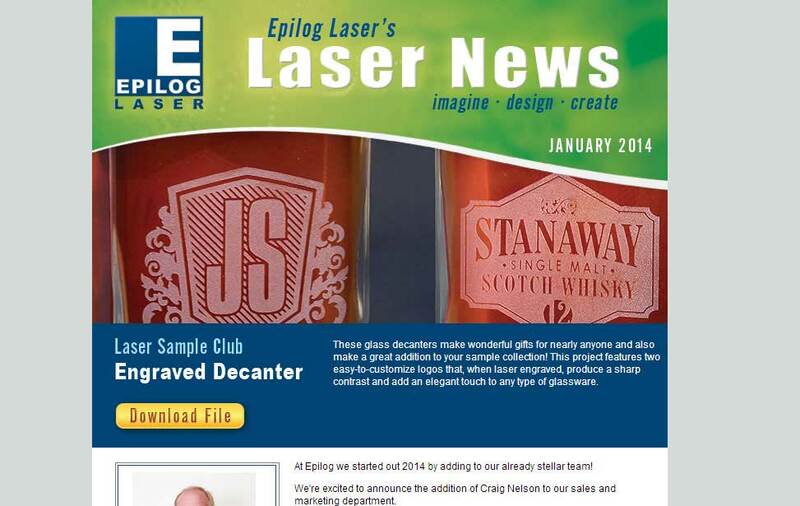 Can Epilog's lasers cut metal? 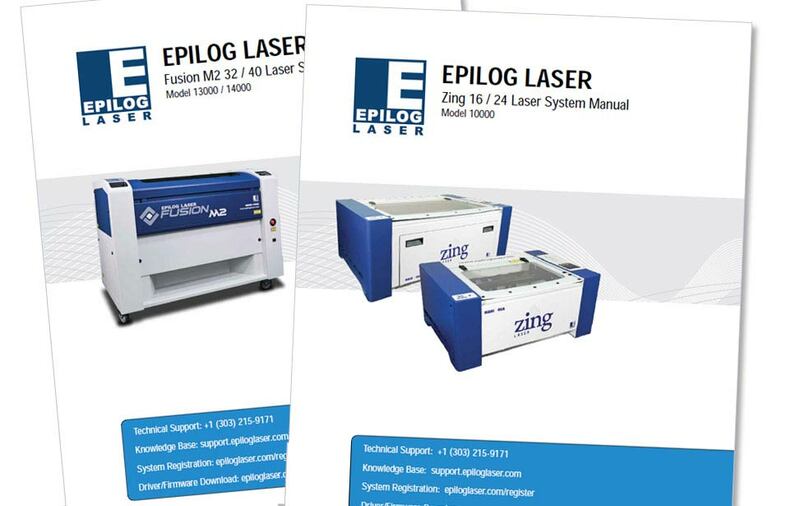 Operating System: All new Epilog lasers are designed to work with all versions of Windows 2000, XP, Vista, 7,8, and 10 operating systems. 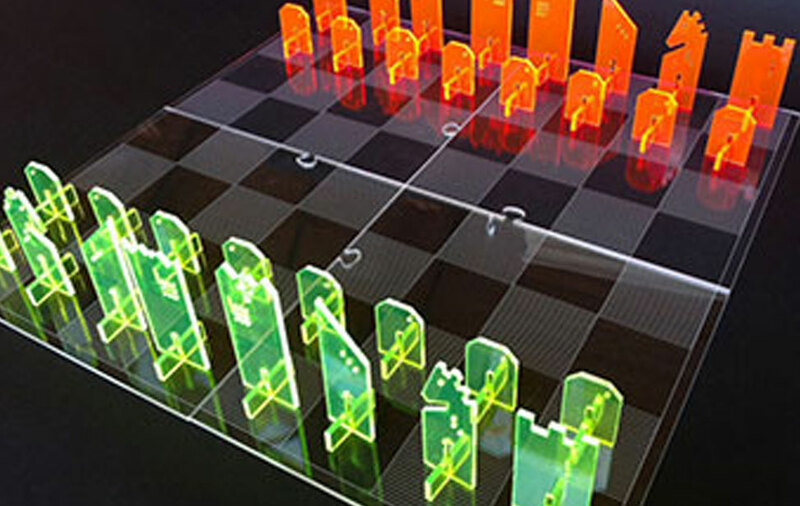 With what software are the laser systems compatible? Our laser systems work through a print driver, so you can design your files in many different graphic software packages including CorelDraw, Illustrator, Photoshop, AutoCAD, and much more. CorelDraw is the most commonly used software, but the laser works with many different packages. What is the maximum table weight of each machine? The Zing 16 and 24 have a static table weight of 50 lbs (22.7 kg) and a lifting table weight of 25 lbs (11.5 kg). The Mini 18 and 24 have a static table weight of 50 lbs (22.7 kg) and a lifting table weight of 25 lbs (11.5 kg). The Helix 24 has a static table weight of 70 lbs (32 kg) and a lifting table weight of 30 lbs (14 kg). The Fusion 32, Fusion M2 40, and FiberMark Fusion have a static table weight of 200 lbs (90 kg) and lifting table weight of 100 lbs (46 kg). The FiberMark has a static table weight of 200 lbs (90.7 kg) and a lifting table weight of 80 lbs (36.3 kg). 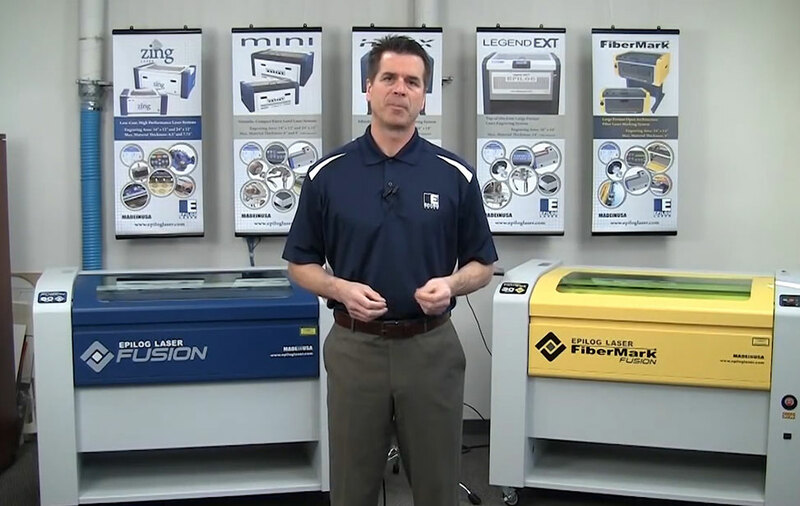 What is the repeatability of the laser systems? What is the accuracy of the laser systems? What is the wavelength of the laser sources? What is the maximum diameter that will fit on the Rotary Attachment for each system? What is the difference between PhotoLaser Plus Basic and PhotoLaser Plus Advanced? Bar Coding functionality – This feature provides the ability to create standard barcodes and can also be used to create serialized barcodes. FluidMask – This feature is a photo manipulating software feature that allows the user to delete the background of an image with extreme precision and relative ease.